My small storage chest is an exact reproduction of a chest that I inherited from my grandmother. Its features are its hinged lid, decorative feet and decorative handles. 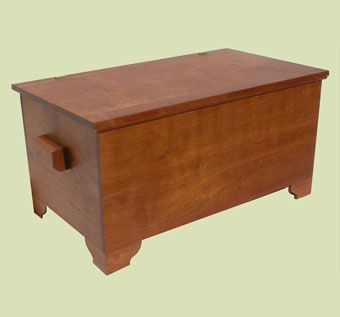 The small storage chest is built using solid wood using traditional woodworking construction techniques. Many wood species are available.